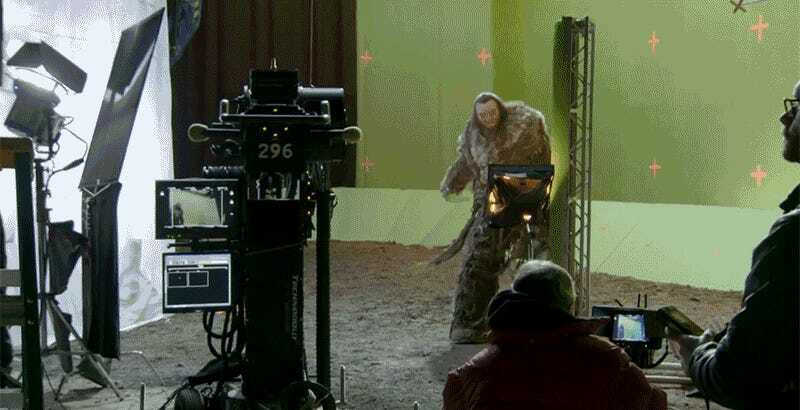 With a fantasy series like Game of Thrones, the invisible visual effects that bring the fictional world and creatures to life are just as important to the story as the show’s cast. Actor Ian Whyte plays a giant named Wun Weg Wun Dar Wun who towers over other characters in Westeros. And even though in real-life he stands over seven-feet-tall, it still requires significant camera and effects work to realize his character’s true imposing stature. Check out how it’s done below!